How fierce is this girl? Despite the fact that she has a perfect face, those sequins just jump out at me and I LOVE her nail color. The cool periwinkle blue could be a really chic wall color for a cosmopolitan style living room. 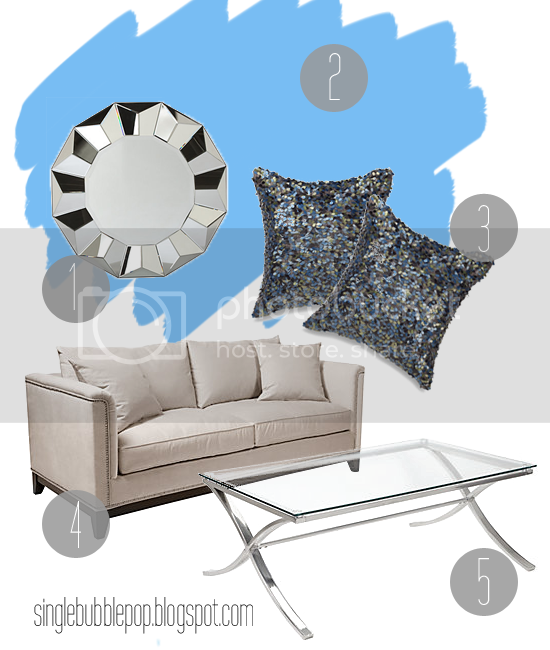 This design features furniture from ZGallerie, Mythic Paint & Nicole Miller throw pillows!